You know you’re an avid quilter when you get excited about bringing home a new book loaded with patterns. But, what if a new book isn’t in the budget and you’re itching to try a new pattern? Luckily, there are plenty of free quilting patterns online. If you’re new to quilting and still trying to decide whether you like it, free patterns are a great way to practice this craft without having to spend a dime. One of the most well-known sites for everything craft-related, Craftsy has a ton of free quilting patterns – over 2,500. The great thing about Craftsy is that they have patterns for all skill levels, including beginner, intermediate and advanced. The majority of the patterns are for beginners, so you can tackle most of the projects no matter your level. Craftsy has a treasure trove of projects to choose from, which makes it a great source for quilters looking for free patterns. Robert Kaufman Fabrics has been in business for decades, and while they specialize in fabrics, they also offer patterns for free. Each pattern is accompanied by a full-color picture of the end product, and you can click the “Kit this Quilt” button to purchase all of the materials you will need to complete the project. 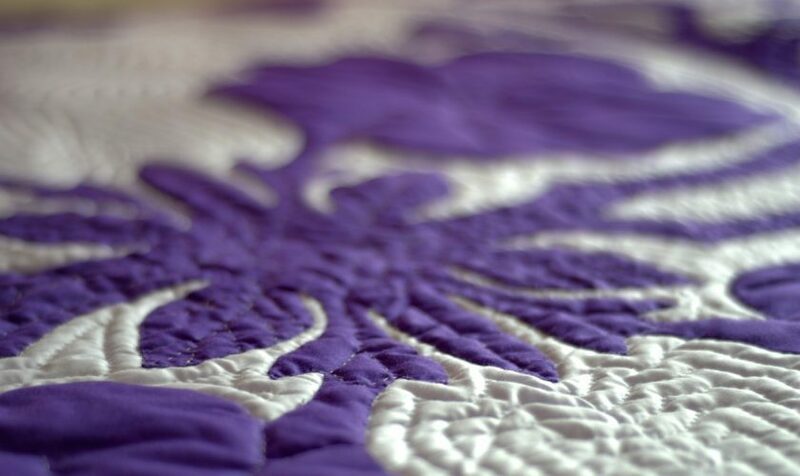 Robert Kaufman offers a wide range of quilts to suit every taste and skill level. AccuQuilt is a lot like Craftsy in that they offer a wide range of patterns to suit all skill levels. You don’t have as many options when it comes to sorting the patterns, but each listing provides a lot of details about the quilt, including its finished size. If you have a die cutter from AccuQuilt, you can also sort the listings by compatibility with your cutter. At Fat Quarter Shop, you’ll find a variety of patterns available from different designers, including Shannon Fabrics, Cotton + Steel Fabrics, Maywood Studios Fabrics, Moda Fabrics, Wilmington Prints and more. There is no way to sort the patterns on Fat Quarter Shop, but you can choose to view the patterns from your preferred designer. Riley Blake Designs offers a nice range of free patterns that you can print from home. These quilt projects have fun themes, like Hocus Pocus, Puppy Love, Cub Scouts, Baking, Enchanted and outdoor themes. New patterns are added regularly, and the collection includes a variety of different designs to suit just about every taste. The only gripe with their patterns is that there are no sorting options, so you’ll have to scroll through the collection to find the pattern you want. Crafty mom blogger Jamie Sanders shares 45 free quilting patterns on her blog Scattered Thoughts of a Crafty Mom. Most of these fun patterns are for beginners, so quilters of all levels can tackle them. If you like modern quilting patterns, this collection is for you. You’ll find lots of minimalistic and color-rich projects that will add charm to your contemporary home. Along with sewing patterns, All Free Sewing also offers free quilting patterns. These fun projects are easy to sort through, and other people can vote on the patterns. Votes don’t mean everything, but you can use this feature to find some of the best-rated patterns. There are more than 12 pages worth of patterns on All Free Sewing, so you’ll have plenty of projects to work through.